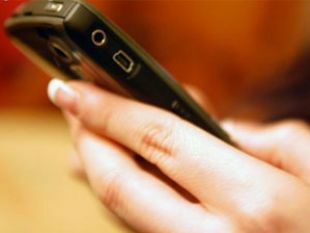 To check spread of rumours which has led to exodus of northeastern peoplefrom certain states, government banned from today bulk SMSes and MMSes for 15 days across the country. "We have banned bulk SMSes and MMSes for 15 days," Union Home Secretary RK Singh told PTI. The decision was taken after reports of widespread circulation of SMSes and MMSes containing misleading information about Assam violence, threats to people of northeastern origin living in other parts of the country and doctored videos. The Home Ministry has asked Department of Telecommunications to implement the order through the telecom operators. From today onwards, no one will be able to send more than 5 SMSes in one go and more than 20 KB of data through mobile phones during the ban period. Though the limit on SMS is on bulk messages, some operators have reportedly levied this cap on person-to-person SMSes as well. The ban came into force after Prime Minister Manmohan Singh said that spread of rumours by miscreants had led to people belonging to the north east to flee from Bangalore, Pune and some other parts of the country. Noting that the guilty should be brought to book, the Prime Minister said that at stake was not just unity and integrity of the country, but also communal harmony.